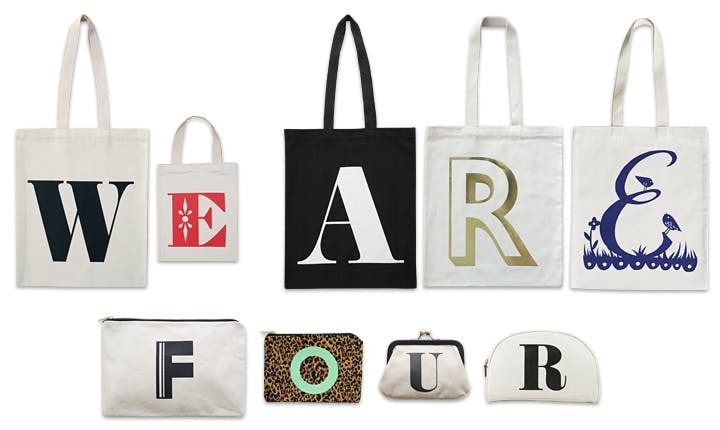 Home > Blog > Alphabet Bags is 4 today! Alphabet Bags is 4 today! Today Alphabet Bags turns 4! Aren't we growing up! We can't believe it has been four years since this all began, time has really flown by. We are so pleased to still be doing what we love and that all over the world folks are enjoying our accessories. This makes us very happy! We just wanted to say a huge thank you to everyone who has helped us along the way and to every one of our lovely customers. We hope to be saying the same in another four years time! We have lots in store for the coming year and are really excited to be moving to a new office (this weekend, eek!) and starting a fresh chapter. Thank you again for visiting our site and for all the support we have received. We are incredibly grateful and lucky.